You'll enjoy a bit of beach vacationing at Ras Um Sid and Shark's Bay Beach. Visit Mount Sinai and St. Catherine's Monastery for their historical value. And it doesn't end there: take in the spiritual surroundings of Coptic Church, take in the architecture and atmosphere at The Heavenly Cathedral, ponder the design of Musical Fountain Sharm el-Sheikh, and appreciate the history behind Monument to the Victims of Plane Crash of Boeing 737. For reviews, ratings, and tourist information, read Sharm El Sheikh vacation planner. New Orleans, USA to Sharm El Sheikh is an approximately 23.5-hour flight. The time zone changes from Central Standard Time (CST) to Eastern European Time (EET), which is usually an 8 hour difference. Prepare for a bit warmer weather when traveling from New Orleans in May: high temperatures in Sharm El Sheikh hover around 94°F and lows are around 76°F. Wrap up your sightseeing by early afternoon on the 2nd (Fri) to allow enough time to travel to Aswan. Plan an Aswan holiday and treat yourself to ancient wonders of the past along the Nile River. 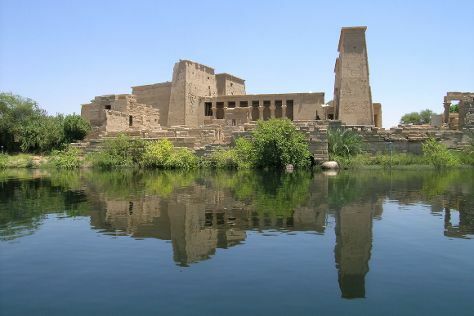 Start off your visit on the 3rd (Sat): delve into the distant past at Temple of Kom Ombo, then contemplate the waterfront views at Nile River, and then steep yourself in history at Unfinished Obelisk. On the 4th (Sun), you'll have a packed day of sightseeing: delve into the distant past at Thebes, then steep yourself in history at el Kab, then contemplate the long history of Nubian Village, and finally take an in-depth tour of Nubian Museum. To see more things to do, maps, reviews, and tourist information, use the Aswan vacation builder. Traveling by flight from Sharm El Sheikh to Aswan takes 4 hours. Alternatively, you can drive; or drive. Traveling from Sharm El Sheikh in June, expect nights in Aswan to be about the same, around 81°F, while days are somewhat warmer, around 108°F. Wrap up your sightseeing by early afternoon on the 5th (Mon) to allow time for the car ride to Marsa Alam. Start off your visit on the 6th (Tue): get engrossed in the history at Astronomy Center, don't miss a visit to Sha'ab Marsa Alam, and then enjoy the sand and surf at Sharm El Luli. On the 7th (Wed), you'll have a packed day of sightseeing: head outdoors with Abu Dabbab Bay and then tour the pleasant surroundings at Marsa Mubarak. For maps, reviews, more things to do, and more tourist information, you can read our Marsa Alam itinerary builder. You can drive from Aswan to Marsa Alam in 5.5 hours. Another option is to drive. 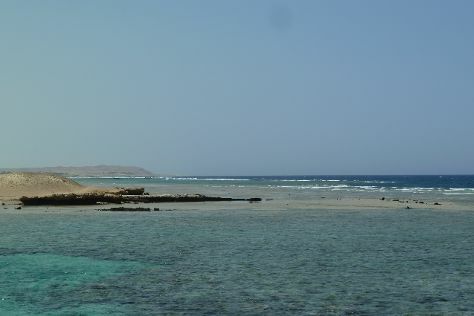 When traveling from Aswan in June, plan for little chillier days and about the same nights in Marsa Alam: temperatures range from 95°F by day to 81°F at night. Wrap up your sightseeing by early afternoon on the 8th (Thu) to allow enough time to drive to Luxor. On the 9th (Fri), appreciate the history behind Temple of Hatshepsut at Deir el Bahari, then delve into the distant past at Valley of the Kings, and then explore the ancient world of Medinet Habu. 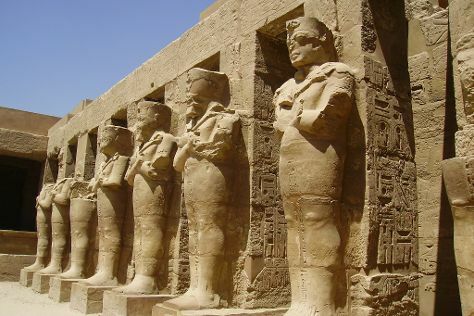 Here are some ideas for day two: explore the ancient world of Temple of Karnak, then take an in-depth tour of Luxor Museum, then appreciate the extensive heritage of Avenue of Sphinxes, and finally delve into the distant past at Luxor Temple. To see photos, maps, ratings, and tourist information, read Luxor online itinerary creator. You can drive from Marsa Alam to Luxor in 5.5 hours. Alternatively, you can drive; or do a combination of bus and train. Traveling from Marsa Alam in June, expect nights in Luxor to be about the same, around 78°F, while days are somewhat warmer, around 107°F. Finish your sightseeing early on the 11th (Sun) so you can travel to La Digue Island. La Digue Island remains a relatively unknown vacation destination, offering very few tourist facilities and an exotic though largely undeveloped coastline. Eschew the tourist crowds and head to Anse Coco Beach and Grand Anse. 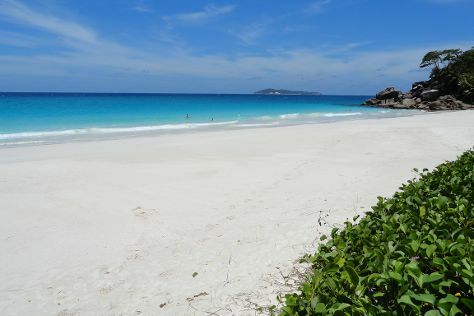 You'll get in some beach time at Petite Anse and Anse Patates Beach. Next up on the itinerary: stroll through Spiagge di Anse Marron and kick back and relax at Anse Source D'Argent. For traveler tips, reviews, ratings, and other tourist information, go to the La Digue Island travel itinerary planner. Fly from Luxor to La Digue Island in 16.5 hours. The time zone difference moving from Eastern European Time (EET) to Seychelles Time (SCT) is 2 hours. When traveling from Luxor in June, plan for colder days and about the same nights in La Digue Island: temperatures range from 85°F by day to 77°F at night. Cap off your sightseeing on the 14th (Wed) early enough to catch the ferry to Praslin Island. On the 15th (Thu), delve into the lush surroundings at Vallee de Mai Nature Reserve, enjoy the sand and surf at Anse Volbert, and then enjoy the sand and surf at Anse Lazio. Get ready for a full day of sightseeing on the next day: enjoy the sand and surf at Petite Anse Kerlan, enjoy the sand and surf at Anse Georgette, and then kick back and relax at Anse Possession. For ratings, other places to visit, more things to do, and tourist information, use the Praslin Island itinerary builder. Praslin Island is just a stone's throw from La Digue Island. Expect a daytime high around 85°F in June, and nighttime lows around 77°F. Wrap up your sightseeing on the 17th (Sat) early enough to travel to Cape Town. On the 18th (Sun), enjoy the sand and surf at Camp's Bay Beach and then take your sightseeing to a higher altitude at Table Mountain. On the 19th (Mon), you'll have a packed day of sightseeing: learn about winemaking at Klein Constantia, then stroll through Boulders Beach, and then take in nature's colorful creations at Kirstenbosch National Botanical Garden. For maps, traveler tips, reviews, and other tourist information, read Cape Town holiday planner. Fly from Praslin Island to Cape Town in 11.5 hours. The time zone difference when traveling from Praslin Island to Cape Town is minus 2 hours. 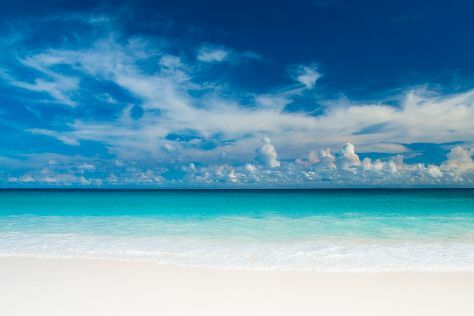 Prepare for cooler weather when traveling from Praslin Island in June: high temperatures in Cape Town hover around 63°F and lows are around 46°F. Wrap up your sightseeing on the 19th (Mon) early enough to travel back home.